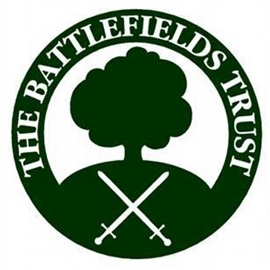 On 30 June the Battlefields Trust and the Cromwell Association unveiled a new information board at Marston Moor to replace one that had become faded and damaged. The work to install the board, which was designed by the Trust, was led by Louise Whittaker, former Chair of the Yorkshire region of the Trust, supported by Vinnie Claxton, the current Chair. Simon Marsh, the Trust’s operations coordinator, opened proceedings by explaining that protection of battlefields was enhanced if they were valued by communities. He suggested that understanding of battlefields was improved by installing information boards and that this led to increased appreciation of their significance and value. He then thanked a wide range of people and organisations that had helped deliver the project. Professor Peter Gaunt President of the Cromwell Association next explained the significance of the battle and the differing parliamentarian and royalist response to its outcome. He also reflected on the Association’s involvement with the site and the problem of maintaining the monument and information board in the face of a range of challenges. After refreshments at Marston Grange, generously provided by its owner, a guided walk across parts of the battlefield took place.